Features the work of Louise Bourgeois, Joseph Cornell, Marcel Duchamp, Damien Hirst, David Hockney, Frida Kahlo, Paul Klee, Yayoi Kusama, Rene Magritte, Pablo Picasso, Paula Rego, Bridget Riley, Ed Ruscha, Cindy Sherman, Andy Warhol and Rachel Whiteread. The Modern Art Journal by Mary Richards was published by Tate Publishing(UK) in April 2018. The ISBN for The Modern Art Journal is 9781849764506. 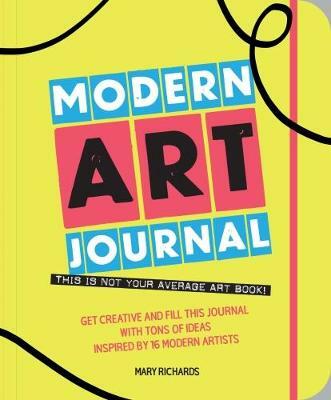 Be the first to review The Modern Art Journal! Got a question? No problem! Just click here to ask us about The Modern Art Journal.